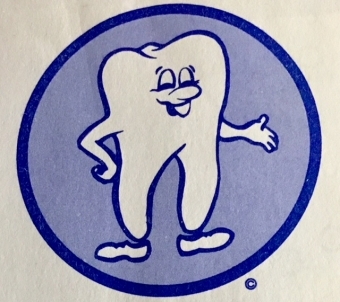 Murphy the Molar is a dental mascot created in the 1970's by Dr. Samuel M. Green, the Dental Director in the Ontario Department of Health at the time. The lovable character was the face of a program to promote better dental health in school children throughout the 1970's and 1980's. Murphy was featured in videos, commercials and on buttons and school dental screening report cards. Retro is definitely in when it comes to Murphy the Molar. His great advice for better dental health for school children still stands. Our Lorne Park Dental Associates Team loves Murphy!